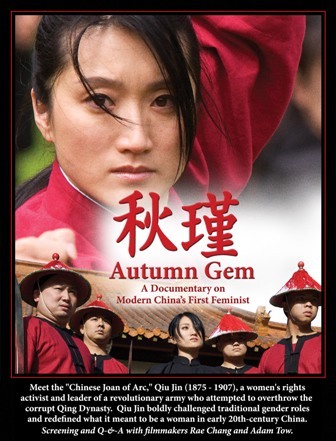 Dublin Library is very pleased to host a free showing of the film ”Autumn Gem,” in the Dublin Library Community Room from 2:00 to 3:00 P.M., on Saturday, March 31st. This film explores the extraordinary life of modern China’s first feminist, Qiu Jin (1875-1907). Described as a “Chinese Joan of Arc,” she is celebrated as a national heroine today. More information on this film is at http://autumn-gem.com/. This documentary film was produced & directed by two Bay Area Chinese American filmmakers, Rae Chang and Adam Tow. The filmmakers will be available after the film for a question and answer period. Please note that seating is limited. Free tickets will be given out starting at 1:45 on Saturday, March 31, until the room reaches capacity. 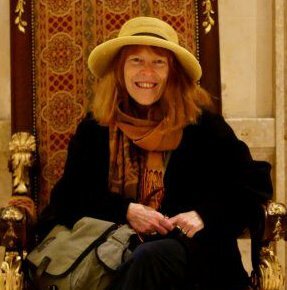 The following day, Sunday, April 1st, Dublin Library is pleased to invite you to come to the Library Program Room at 2:00 P.M. to join artist Marlene Aron for her program entitled “Van Gogh, Pissarro and the 99%”. In this lecture and slide show, she will examine the paintings of Vincent Van Gogh and Camille Pissarro. Marlene will demonstrate how these two artists, whose shared compassion for the laborer, the peasant, and those who struggled to get by in their daily lives, would be the perfect spokespersons for today’s 99% political movement. Marlene Aron is an artist, educator, and published poet. 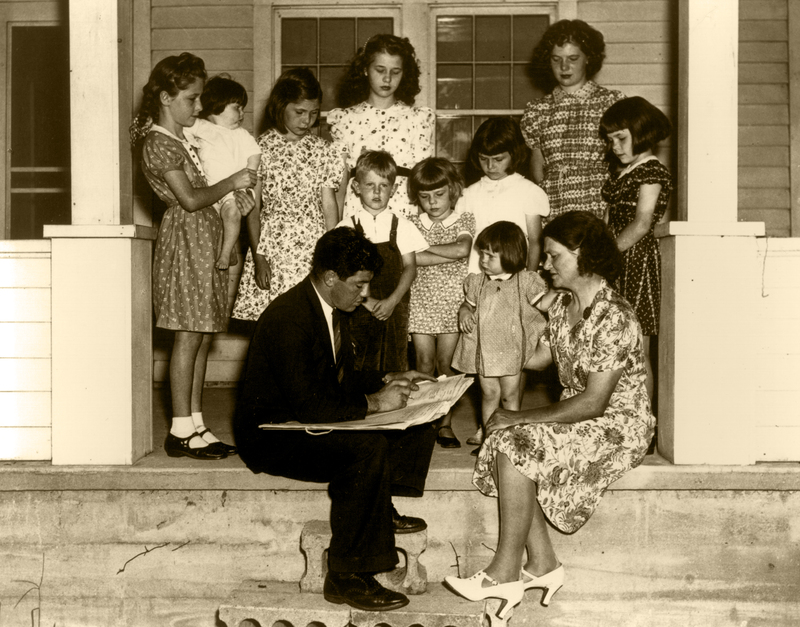 “In anticipation of the April 2 release of 1940 Census records from the National Archives, the U.S. Census Bureau is launching a new page on its website. 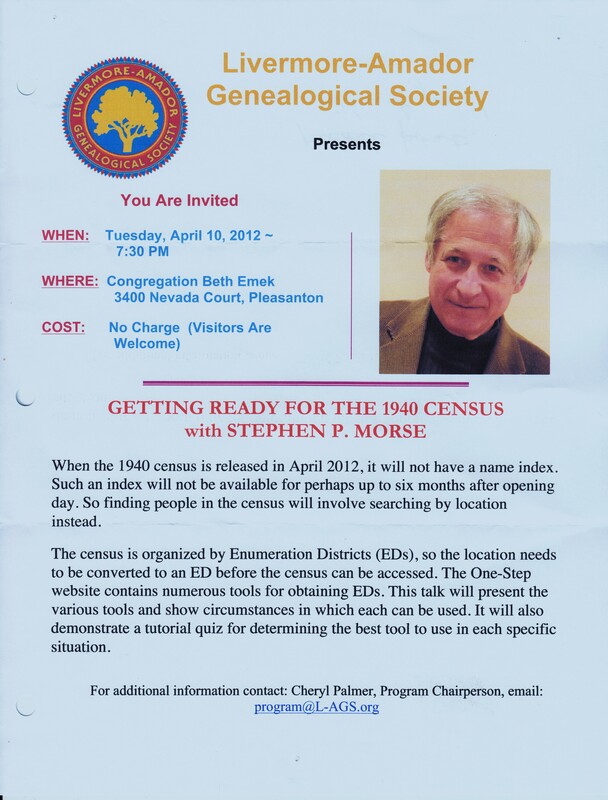 Strict confidentiality laws ensure that census records are only unsealed after 72 years have passed, so genealogists, historians and researchers have waited with great eagerness for this release. 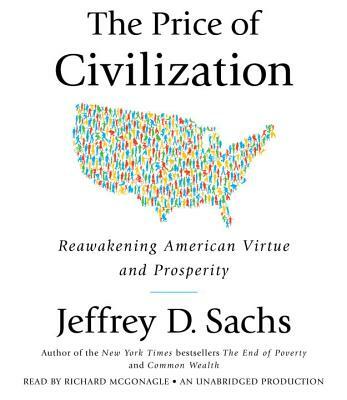 Donna – I highly recommend “The price of civilization : reawakening American virtue and prosperity” by economist, Jeffrey D. Sachs to anyone who wants a better understanding of what happened to America, how we got in this mess and is interested in positive suggestions for making changes and improvements. Sachs does an outstanding job of describing the situation and laying out suggestions for changes that must be made in the years ahead. His facts are well documented and non partisan. Nick – “The Lorax” really isn’t the sort of movie I’d normally see, but nevertheless I saw it, and in 3D no less. I really don’t remember how Dr. Seuss’s original story went but it seems that this movie was really a lesson about greed. It starts off with this kid that really likes this girl and he finds out that she really digs trees and says she would totally marry any guy that could get her a real tree. So the kid sets off to find himself a real tree and with a little advice from his grandmother to go see the Once-ler he begins his little adventure to find him. The kid finds the Once-ler and finds out the reason why there are no more trees and why things aren’t so perfect in Thneedville. Eugene – I recently saw the film, “In Darkness,” by Polish director Agnieszka Holland. It tells the the story of a Polish sewer worker and part-time burglar, Leopold Socha, in the former Polish city of Lwów (now Lviv in Ukraine) who used his knowledge of the city’s sewers system to shelter a group of roughly a dozen Jews from the Nazi Germans. At first, he was paid by the people he was hiding to pay for their food, but after the money ran out, Socha and his wife paid for their food out of their own pockets. In 1978, Socha and his wife were awarded the title “Righteous among the Nations” by the State of Israel, an honor given to non-Jews who risked their lives to save Jews from extermination during the Holocaust. It’s not a comfortable film to see, as it raises the question of how each of us individually would behave if an unpopular minority were persecuted by an occupying nation, and you would be executed for sheltering members of that minority. Leopold and Magda Socha gave us an outstanding example of simple people behaving humanely and courageously when all too many others preferred to offer no resistance to the persecution of the Jews. Carmin – I just finished reading the biography, ”Eva Braun: Life with Hitler” by Heike Goertemaker. While historical information is scarce about Eva Braun, the author is able to piece together what her life was most probably like with Hitler. Disappointingly, there is much greater detail given about others that surrounded Hitler in his inner circle than information given on Eva Braun; however, anyone interested in learning about the home life of Hitler during the 1930s-1940s would probably find this book very satisfying. Beannachtai na Feile Padraig Oraibh! It’s time again, for the “wearin’ o the green” as Ireland’s national festival comes to Dublin this weekend, March 17 & 18. And yes, it does look like rain is forecast at least through Saturday and possibly Sunday, but don’t let it stop you from coming over to the Civic Center and enjoying all the festivities. Food, drink, music, carnival, art vendors and the Irish Tea Cottage will all be here for your enjoyment, including an opportunity to kiss the blarney stone. 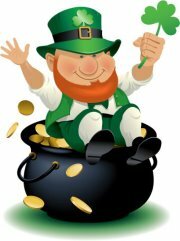 You can get all the details from the city’s website or the facebook page for St. Patrick’s Day. How does it affect the library? The Library is open for normal operating hours during the festival. This includes Saturday, 10:00 am until 5:00 pm and Sunday, 1:00 pm to 5:00 pm. Access to the library is from festival parking areas on Sierra Court and Clark Avenue. For your convenience, due dates on materials have been moved up to Monday, March 19. The City will also set up a mobile book drop in the parking lot at the Sports Grounds, to make quick drop off more convenient. A volunteer with the City will accept your returns and deliver them to the Library that same day. Starting tomorrow, March 14, portions of the parking lot will begin to close to allow for setup of the carnival and food vendors. By Friday, the entire parking lot will be closed off except for a few spaces close to City Hall. The parking lot will remain closed throughout the weekend. Do you feel you have too much space on your book shelves? Do you want to have some newer books on display? Then come and shop for bargains at the Friends of the Dublin Library Spring Book Sale in the Community Room and the Library Program Room! The sale includes gently used hardbacks and paperbacks, children’s books, audio and video tapes, DVDs, books on tape/CD and music CDs. A selection of “almost new” specially priced items is available and suitable for gift giving. There are also materials especially set aside for teachers. The sale begins Friday night with a members-only preview event. You may join or renew your membership at the door, beginning at 5:30 PM. Annual membership is $10 for individual; $20 for a family; $100 lifetime membership. 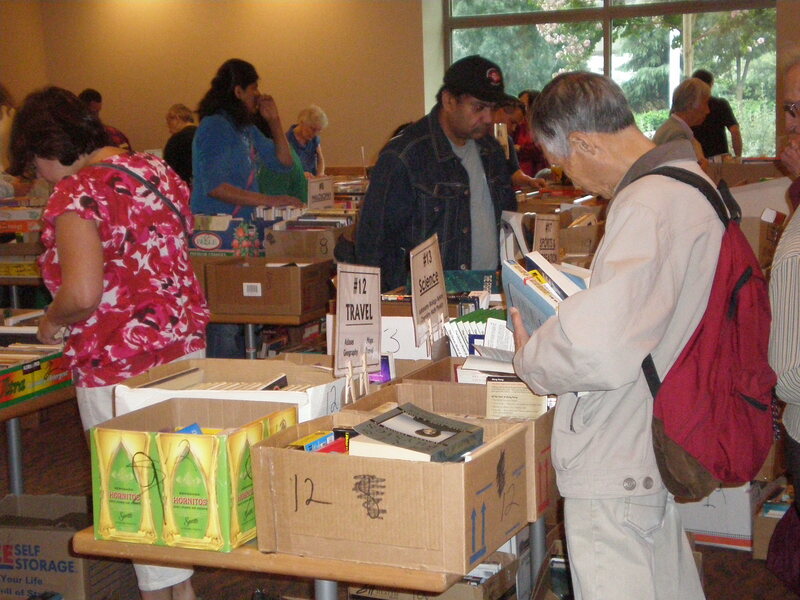 The sale continues Saturday, March 10 from 10:00 AM to 4:30 PM and Sunday from 1:00 PM to 4:30 PM. Sunday is Bag Day: $4.00 for a bag of books (bag supplied). Or buy and fill a “Friends of the Dublin Library” canvas tote bag for $8.00 and save one dollar on the price of the bag and books combined. Proceeds from the sale benefit your Dublin Library. As part of Art IS Education month, Alameda County Library is presenting a series of free arts events. Art IS Education is an annual showcase of youth arts learning in Alameda County in March during national Arts Education Month. Alameda County Library, Alameda County Arts Commission, and the Alameda County Office of Education are working in partnership to expand the reach of Art IS Education to library patrons. 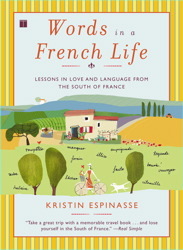 More information about this program is available at: http://www.artiseducation.org/ , http://guides.aclibrary.org/ArtIsEducation, and http://www.acgov.org/arts. Your Dublin Library is hosting the Paper Quilt Project program on Saturday, March 3rd, 2012. 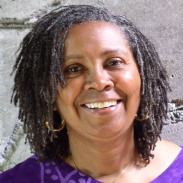 Come join artist Marion Coleman to help make a paper quilt on the theme of “Creating a Better Future Together.” This program is open to all ages. Families can drop in at any time between 1:00 to 3:00 p.m. this Saturday, in the Community Room, to design a paper quilt square. This project helps participants understand how quilts are an example of collective impact where a group of people working together can create a large piece of artwork that would be difficult to make alone. The Paper Quilt Project also shows participants how materials destined for a landfill or a recycling bin can be used to make art and help young people express their vision for the future. The finished quilt will be displayed in the Dublin Library during March. All supplies for making a paper quilt square are provided. This program has been generously sponsored by the Friends of the Dublin Library.